The “little Louvre” of Lyon is an atmospheric and unmissable moment on your visit of Lyon. It’s elegant, chock-a-block with renowned artists and sculptors, and houses both permanent and temporary exhibits of calibre. 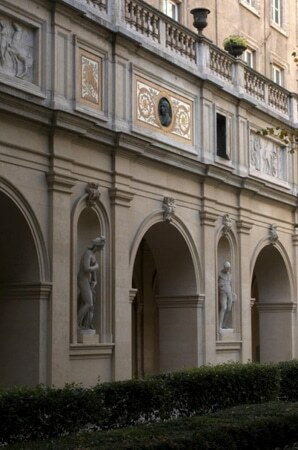 In the heart of Lyon, right next to Place des Terreaux, the stunning Fine Arts Museum of Lyon, or “little Louvre”, is a municipal museum and houses an impressive art collection, regularly enriched, within the walls of the majestic 17th century Benedictine convent. Built by François Royer de la Valfenière and also known as “Saint-Pierre”, the Fine Arts Museum of Lyon is one of the largest art museums in France, and the most visited in the region. With Sylvie Ramond at its helm, the 70 rooms take you through 5000 years of art history, from ancient Egyptian antiquities to Contemporary Art, allowing visitors to be wowed by a classic Rembrant or modern master Renoir, to dream along with Chagall, and to while away the hours before a Rodin sculpture in the whispering cloisters-turned-gardens. 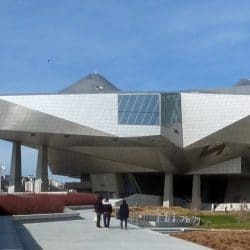 The museum also offers major international exhibitions throughout the year, as well as dynamic and fun-driven activities for adults and children. From its foundation in the 6th century to its total reconstruction in the 17th, the abbey, one of the oldest in Gaul, underwent many transformations. Starting off as an upper-class convent, it turned into a Royal Abbey, became a place of worship with the building of a Church, and was then extravagantly remodelled by Louis XIV. Centuries of housing wealthy nuns, however, came to an abrupt stop with the French Revolution. Thanks to its proximity to the Lyon City Hall, the abbey was neither sold nor destroyed, but instead was turned into a museum in 1801, to educate the public and “encourage art”, as well as to boost the local silk industry in Lyon. The Museum of Fine Arts of Lyon may house over 8000 antiquities, the big boaster being Egypt with its sarcophaguses and gates of Ptolemy, it may be home to 2500 mind-blowing painters – Picasso, Pérugin, Véronèse, Rubens, Géricault, Delacroix, Monet, Gauguin, Manet, Picasso ou Matisse -, 8000 works on paper, and 1300 sculptures, but the museum also has (drum-roll) the second largest collection of coins, medals and seals in the whole of France. This 50000–strong collection began back in the 19th century and was topped up by recent discoveries of the Terreaux and Celestins treasures. 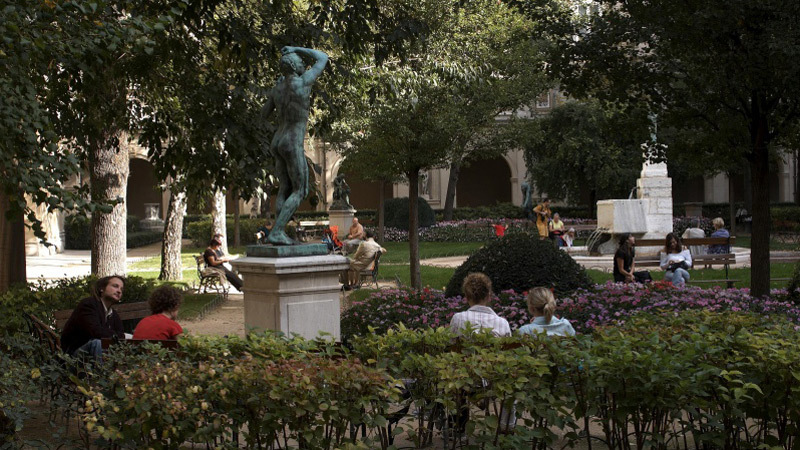 If you’re after peace and quiet, the garden of the Lyon Museum of Fine Arts is a sanctuary of zen. Well away from the city’s vrooms, the linden trees, birches and giant oaks provide you with summer shade and a criss-cross of branches in winter. Peppered with statues, a circular fountain and enough space to roam, the museum’s garden manages to slow life down a while, allowing for a face to face encounter with Apollo, the God of the Arts. And you don’t even have to buy a ticket for the museum to get into the garden – you can just come to sit and stare. With one of the most important art collections in Europe, ranked 1st in the region and 5th in France, the Fine Arts Museum of Lyon is an atmospheric gem in the Lyon museum landscape, set to weave lasting memories in the minds of each visitor. Tip 1 Have lunch out on Les Terrasses Saint Pierre. Not only is the light food exquisite, but the dreamy atmosphere over-looking the gardens is to die for. Tip 2 Try the dancing, yes, the dancing, Audioguide, created by choreographer Denis Plassard, which takes you through the museum in a beautifully imaginative way. Available for free at the museum’s entrance, it helps you spot the pictograms and locate more than 20 artworks in the museum. Free app available: Musée des Beaux Arts de Lyon. Partial closing between 12:30 p.m. and 2:00 p.m. 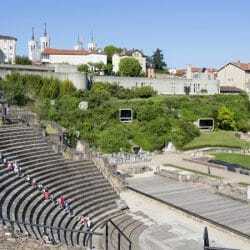 The Museum of Gallo-Roman Civilisation astounds the visitor with its avant-garde architecture and carefully-chosen exhibits, nudging you to uncover more of what Lyon’s Roman, Gaul and Celtic forebears got up to. 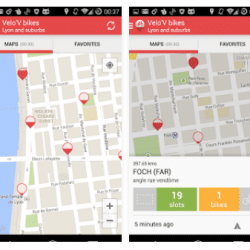 Do you know how efficient & cheap and easy you can explore Lyon with your Mobile Phone?